What are Catholic educators supposed to make of this? Is this really the Catholic Church speaking? Does the Church really say that great importance should be attached to teaching sacred music? Does the Second Vatican Council really express the view that – teaching sacred music is part of the ‘job description’ of Catholic schools… or am I misreading this? What about sports? Doesn’t Vatican II say something about the great importance that athletic programs play in the lives of men and women as they forge their paths to heaven? What about sports?!? Maybe sports are recommended in some other encyclical or Papal Bull or something…. Does this say that pastors should take great pains to ensure that “the faithful may be able to contribute that active participation which is rightly theirs.” I guess it does say that… after all I think I am merely repeating it. But again…what about sports? 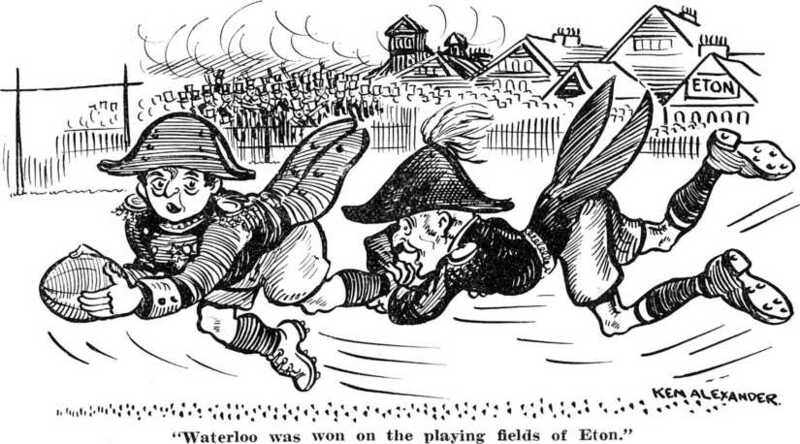 After all isn’t it true that “the battle of Waterloo was won on the fields of Eton”? I wonder what kind of music Catholic schools should teach? Probably something contemporary and appealing to the minds of the young. After all the young couldn’t possibly learn to appreciate Gregorian Chant and Sacred Polyphony. I wonder what “intelligently fostered” means? Could this mean that every Catholic school ought to make room for teachers who know about Gregorian Chant and Polyphony? That sounds like an expensive idea. Better that schools simply dedicate what limited resources they have to the athletic programs that are so clearly referenced in the documents of Vatican II. After all most students would prefer playing sports to sitting around in classrooms learning what a ‘torculus resupinus’ is. I know most musicians need to be encouraged but isn’t this going a little overboard? After all isn’t sacred music an extra? Can’t there be a solemn liturgy without sacred music? Maybe we need to think about what kind of thing an “integral” part is? Or perhaps it is just easier to ignore the whole issue and concentrate on sports like the Church says we should. This entry was posted in classical education, Sacred Music and tagged Constitution on the Sacred Liturgy, Sacred Music, Sacrosantum Consilium. Bookmark the permalink.